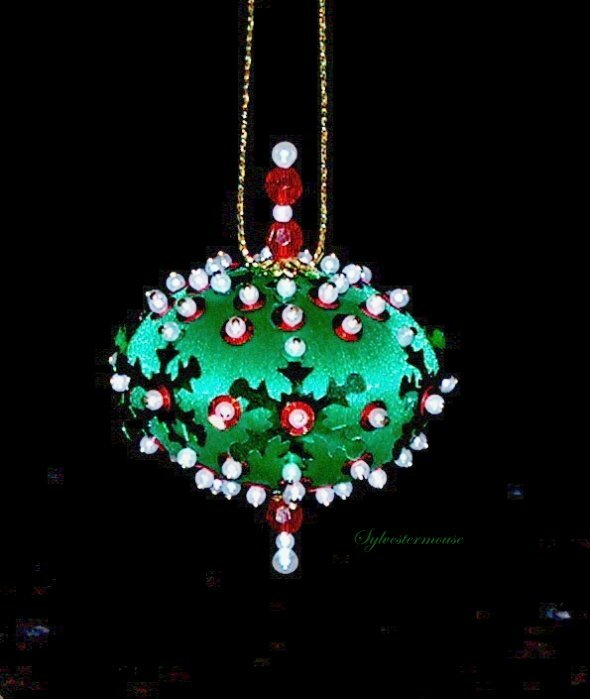 Beaded Christmas ornaments are not only beautiful decorations but they make excellent Christmas gifts. 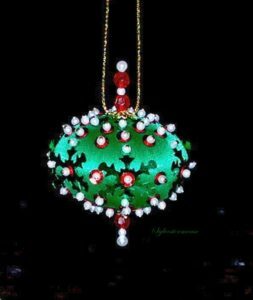 Handmade ornaments will be cherished for a lifetime and can be passed down to future generations. 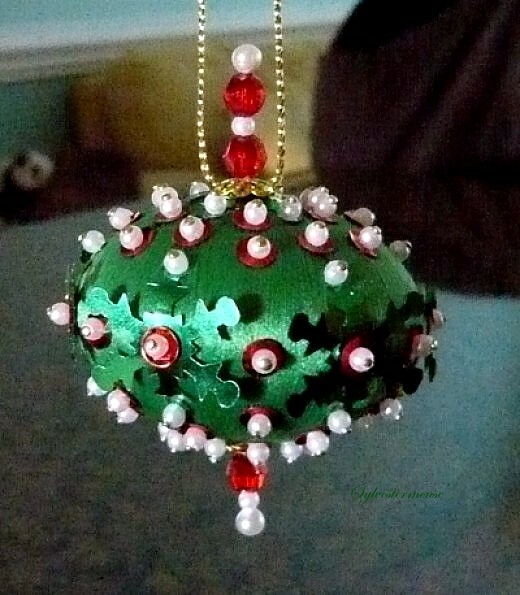 In this article, I will use a kit to show you how to make your own beaded Christmas ornaments. 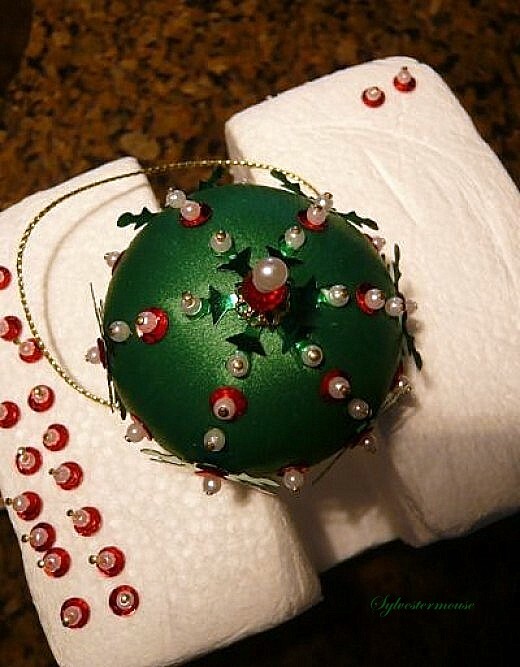 I prefer the kits simply because everything I need to make the ornament is included except the craft glue. 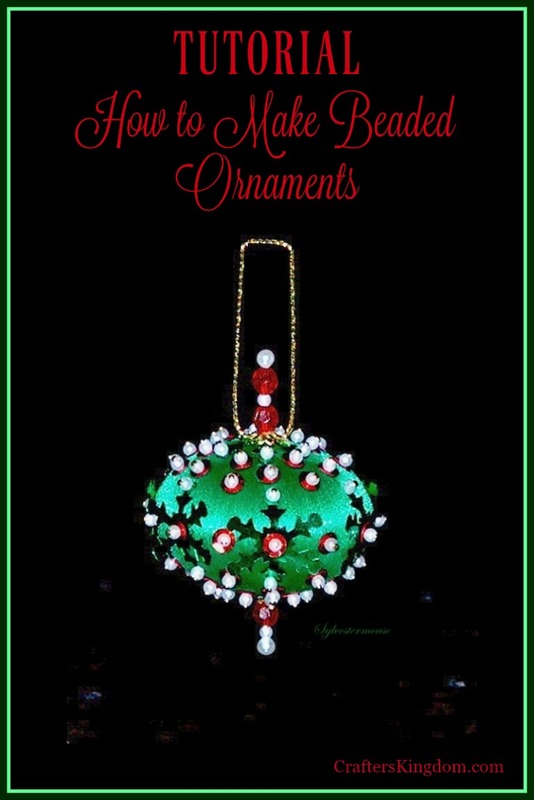 Once you see for yourself just how easy it is to make a beaded ornament, no doubt you will want to get started on your own beautiful decoration. There are so many different kits available on the market today, that you really can choose one that appeals to you in color, shape, and difficulty level. 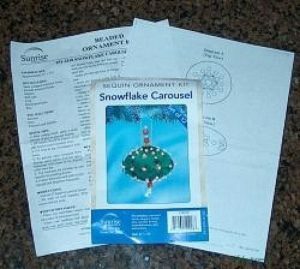 The Kit Used for this Presentation/Instruction: Snowflake Carousel from Sunrise Craft & Holiday Co. I know you want to get started immediately. 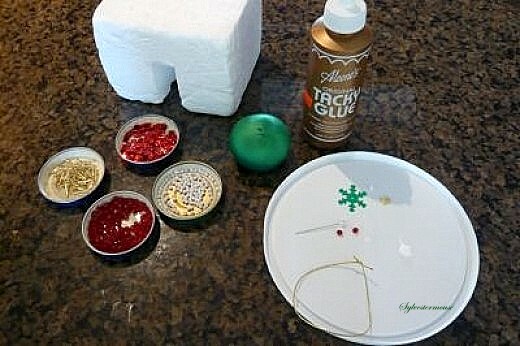 However, if you start your project by separating the beads, the actual assembly will progress much faster. In the end, organization is excellent time management. Set up an organized work area and separate your beads by color. Truly, I have never used a bead separating organizer, but they are definitely available to purchase. 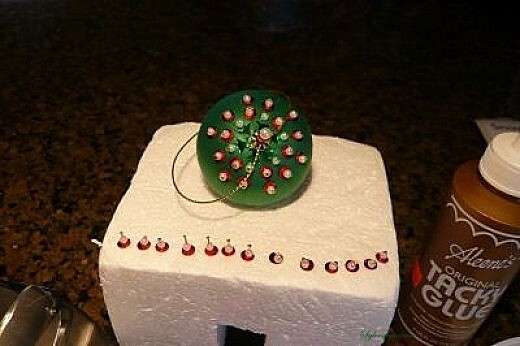 I actually use baby food jars and cool whip containers to hold my beads and pins. 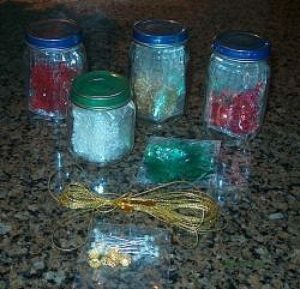 Why throw away those great glass jars and plastic containers when they can be used to separate and store your craft items? 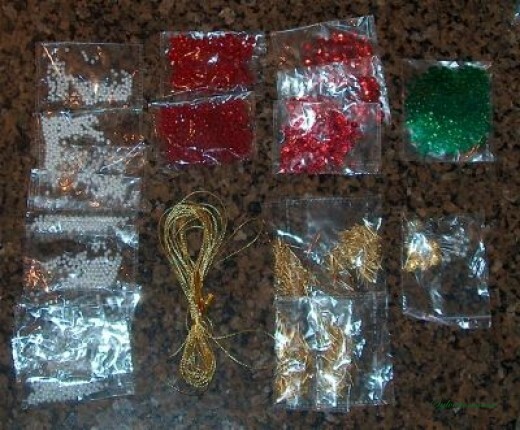 Each kit includes instructions and usually a diagram or chart. 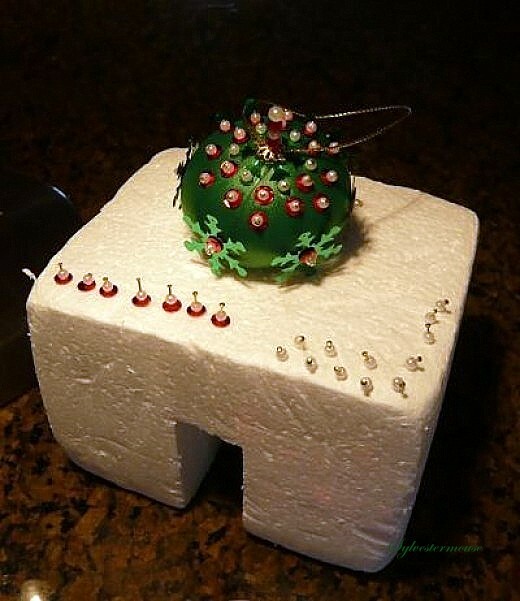 I read the instructions first, look over the diagrams and examine the photo of the finished ornament. 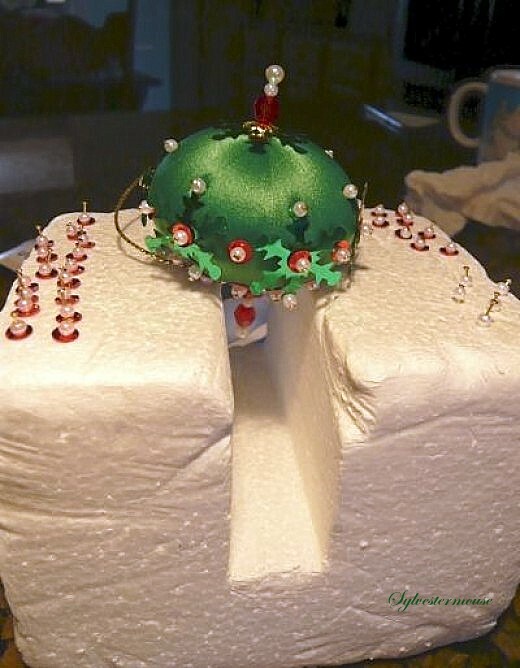 Personally, I can duplicate what I see in the photo easier than I can follow the written instructions, but I use them all to complete my project. 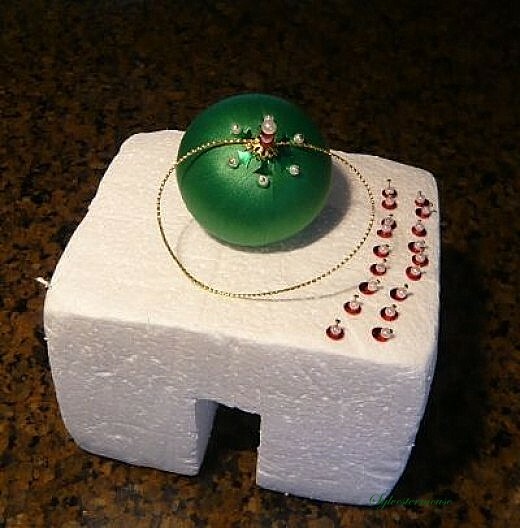 I assemble my beaded pins in groups and stick them into a Styrofoam block until I am ready to place them on the ornament. 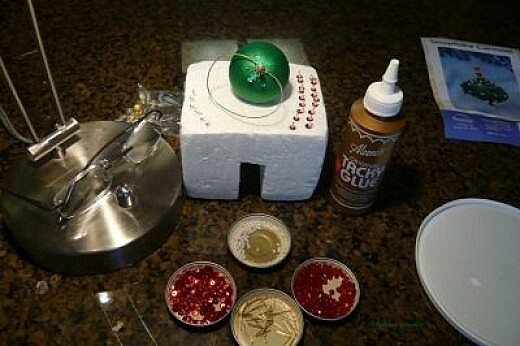 When I am ready to set the first pin in place on the ornament, I squeeze a little craft glue onto a plastic lid. 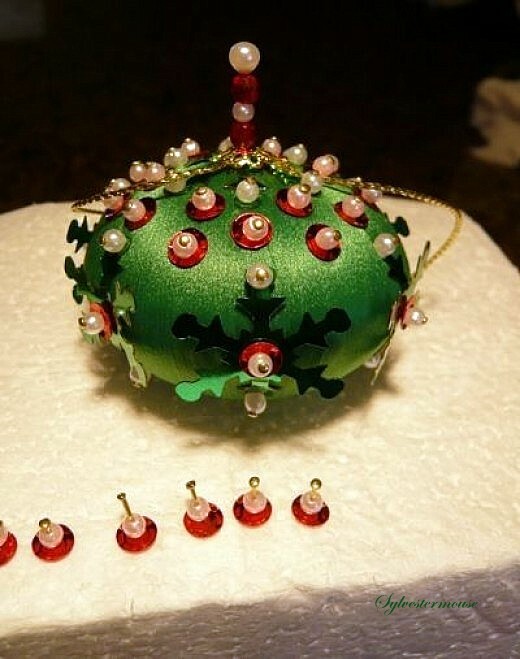 I poke the tip of each pin into the dab of craft glue right before I position the ornament for final placement. I have no idea where I got this Styrofoam, but I have used it for years. 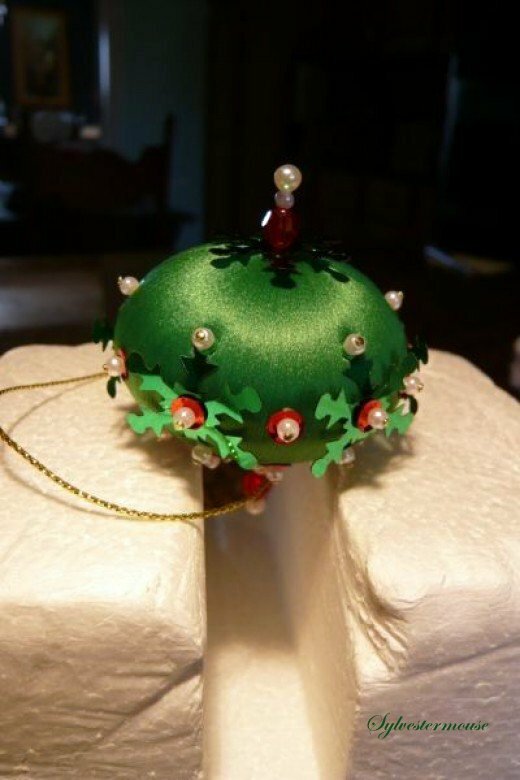 In a Few Hours You Are Finished! 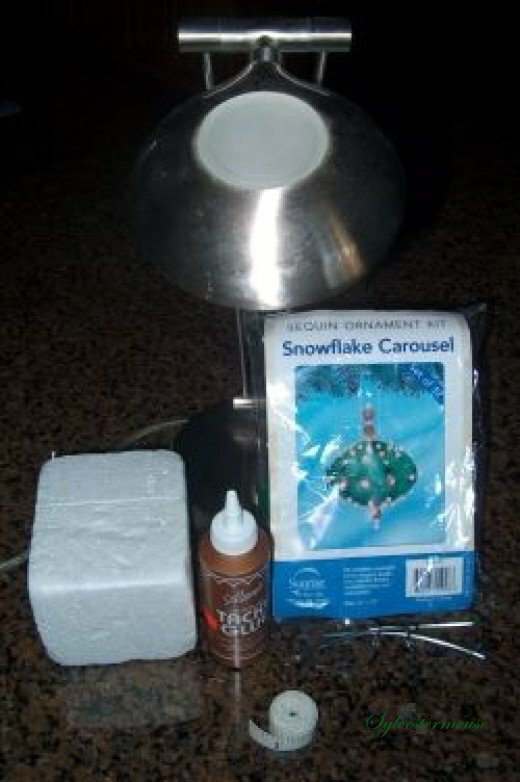 The Snowflake Carousel kit has all of the supplies needed to make 12 ornaments.